Johannes Brahms, one of the most famous composers of the Romantic period, had a great body of famous and successful work, and it was only a matter of time before academia took notice and awarded him honorary credentials. But, caring little for such things, his academic credentials and awards were often shunted into a desk drawer and all but forgotten. This attitude was to change slightly in 1880. That year, he was offered the prestigious degree, Doctor of Philosophy from the University of Breslau. However, still sticking to his attitude, and true to form, he acknowledged this prestigious honor by mailing a penny postcard. But, it was gently hinted to him by a friend that Breslau deserved better; in fact, this friend urged him to compose a piece of music for the occasion. 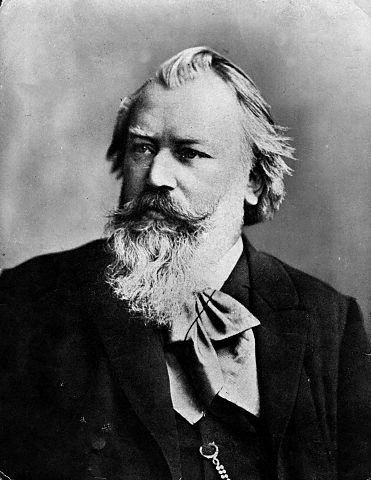 So, amidst speculation and anticipation as to the form of the work he would eventually produce, Brahms set to work. When the University finally heard the work, they were amazed. Brahms had tackled the task in a brilliantly obvious, ingenious way by putting together nothing less than a potpourri of old student songs, appropriately titled “The Academic Festival Overture”.